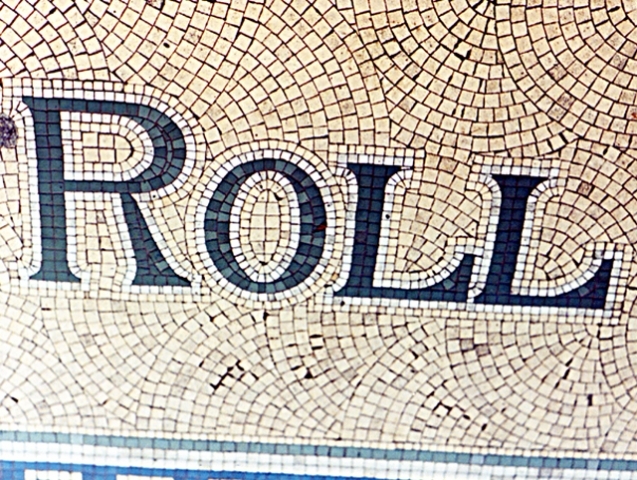 "Some stylish mosaic lettering in a shop doorway. Location forgotten. Taken in the late 1990s."